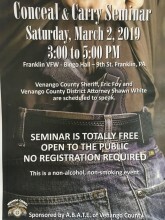 Venango County A.B.A.T.E is hosting a Conceal and Carry Seminar on March 3rd at the Franklin VFW. 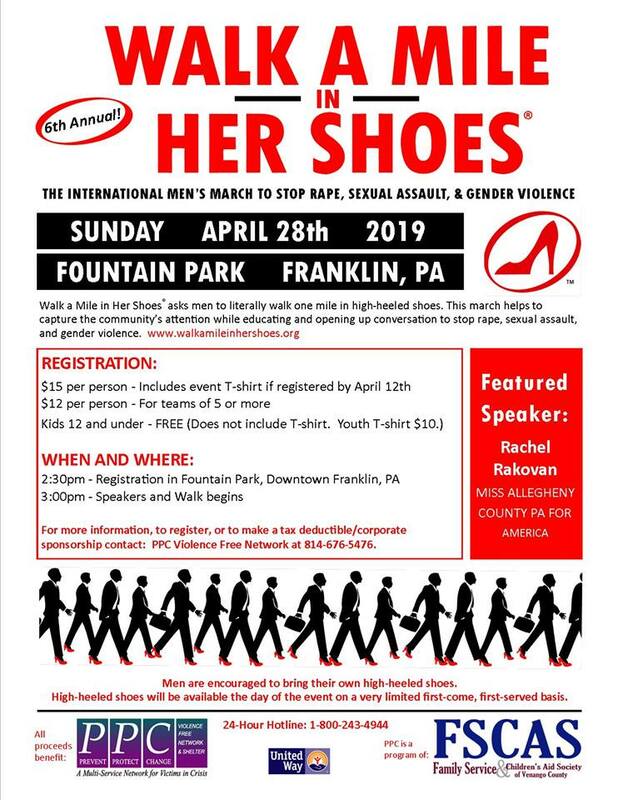 This seminar will be presented by Sheriff Eric Foy and District Attorney Shawn White. Everyone is welcome and there is no charge for the seminar. 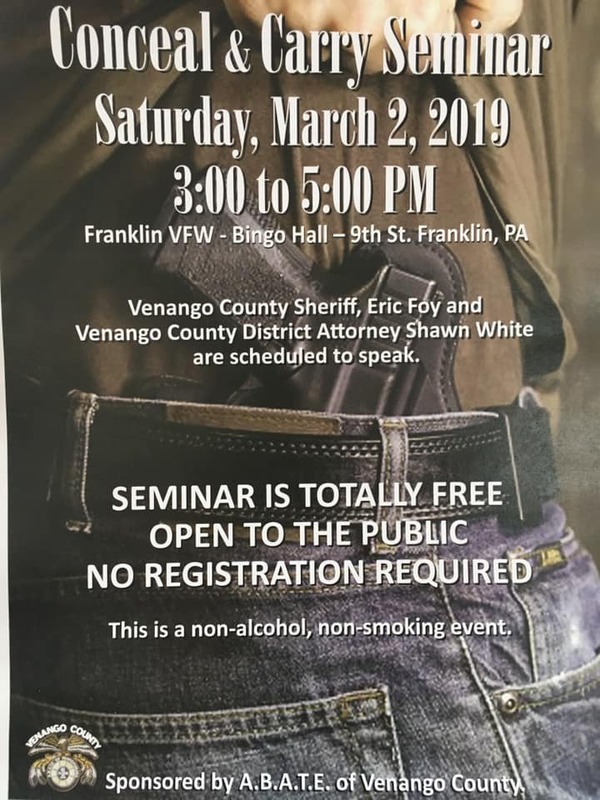 This is a great opportunity to learn about the Conceal and Carry laws and to have all your questions answered.